Obituary for Margie (Gholson) Crites | McCombs Funeral Home Inc.
Margie Lavina Gholson Crites, 98, of Jackson, passed away April 1, 2019, in Jackson. Margie was born October 22, 1920, to Glenn Addison and Annie Davis Gholson in Cape County. She and Rusby C. Crites were married November 23, 1939. They had been married 52 years when Rusby passed away April 30, 1992. Margie graduated from Oak Ridge High School in 1938 and was the oldest graduate. She was also the oldest member of New McKendree United Methodist Church in Jackson. She was a member of United Methodist Women, the Esther Circle, and the quilters group. Other memberships and affiliations include: Cane Creek Homemakers Club (charter member, receiving numerous awards from the Missouri Extension Homemakers Association); Jackson Garden Club; Democratic Women’s Club of Cape Girardeau County; Daughters of the American Revolution; Southeast Hospital Association; Southeast Hospital Auxiliary for 30 years, volunteering to raise funds for cancer and heart; and in earlier years, served as a girl scout leader and worked as a floral designer for Dalton Florist. Loving survivors include three children, Vicki (Gary) Lane of Jackson, Dr. Karen (Jim) Hendrickson of Cape Girardeau, and Rusby Clinton Crites II of Lawrenceville, Georgia; six grandchildren, Gary (Debbie) Lane II, Rhett Hendrickson, Ryan Hendrickson, R. Clinton (Dr. Julie) Crites III, Amy Crites and Paul Crites; six great-grandchildren, Gary Lane III, Jeremy Lane, Ashley Lane, Madeline Grace Hendrickson, Kenneth Paul Crites, Jaelyn Crites; and three great-great-grandchildren, Lane Gurley, Ava Lane, Fisher Lane; three sisters-in-law, Florence (the late Dewey) Gholson of Robertsdale, Alabama, Geraldine (the late Ralph) Crites of Cape Girardeau; and Beulah (the late Walter Lee) Crites of Jackson; five cousins, Mary Alice Masters Carrell and husband William, Margaret Barks Guthrie, Glenn Barks and wife Donna, Judy Pind Brown, and Sarah Barks; and many nieces and nephews. She was preceded in death by her husband; two brothers, Meredith Milton (Mary Jane) Gholson, Dewey Gholson; and a sister, Sadie Maxine (George) Wilson. Visitation is from 10 a.m. to service time, Saturday, April 6, 2019, at McCombs Funeral Home and Cremation Center in Jackson. 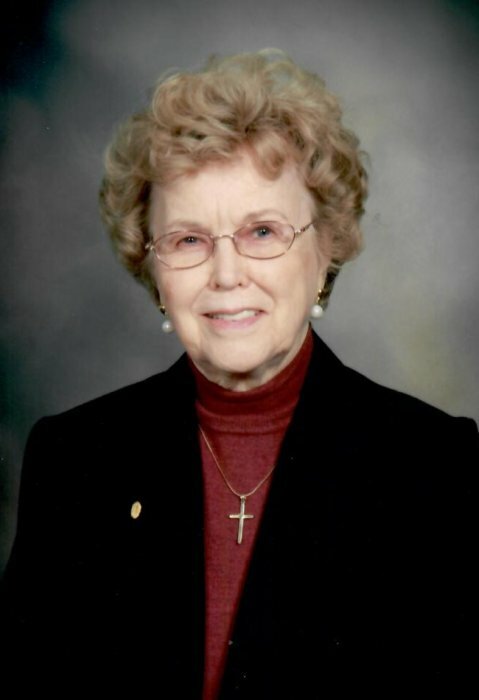 The funeral will be at 1 p.m., Saturday, April 6, 2019, at the funeral home, with the Rev. Jimmie Corbin officiating. Burial will follow at Russell Heights Cemetery in Jackson. Memorials may take the form of contributions to Southeast Hospice or New McKendree United Methodist Church. Online condolences may be sent to the family by visiting www.mccombsfuneralhome.com.